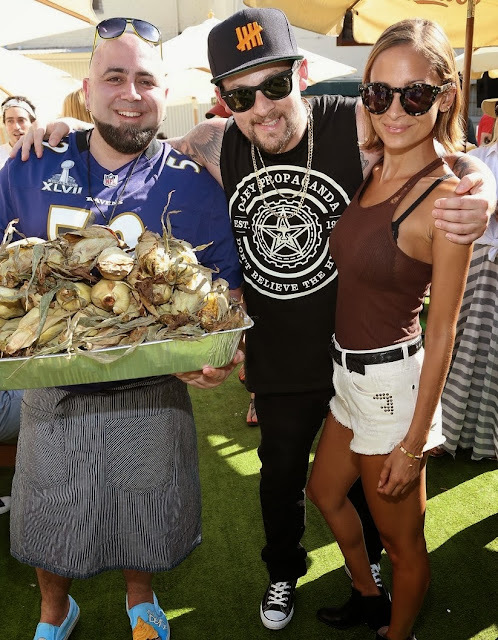 Nicole Richie attended the first annual Crab Cake festival in Los Angeles (8th September) with her husband Joel and brother-in-law Benji. The event was hosted by Nicole's husband Joel along with some of his friends. The event was in honour of his home state roots of Maryland .. Crab Cake must be a big thing there! The day looks like it was a great turn out, take a look at some of the pics below! Eye Spy the House Of Harlow 1960 warner boots..NEED!